Are you looking for some facts about Ludacris and his career? LoveToKnow Music has you covered. Check out our collection of facts about Ludacris, including biographical information and details about some of the controversy that has surrounded his career. 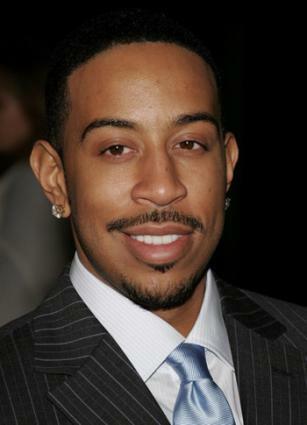 Ludacris was born Christopher Brian Bridges September 11, 1977 in Champaign - Urbana, Illinois. He became fascinated with music at an early age and penned his first rap when he was 9. During high school, he formed a rap group that performed for fellow students. After graduating, in 1998, Bridges left Illinois and moved to Atlanta, Georgia to attend Georgia State University. He majored in music management, but he only lasted a year in the program before dropping out. Performing was what really interested Bridges. In 1998, while attending Georgia State, he recorded an underground release called Incognegro. During this time, he also landed a job as a producer, editor and on air personality at Atlanta's WHTA radio station, going by the name DJ Chris Lova Lova. While working at the station, he met producer Timbaland, who became a fan of his music. Timbaland put Bridges on a track called Phat Rabbit on his Tim's Bio: Life from the Bassment album in 1998. This track was the first time Bridges adopted the name Ludacris, which he would use as a musical artist from here on out. In 2000, having failed to land a record deal, Bridges and his business partner/manager Chaka Zulu decided to set up their own indie label called Disturbing Tha Peace. Disturbing Tha Peace landed a distribution deal with Def Jam Records and released Bridge's Back for the First Time, which was essentially a reissue of Incognegro (with some minor production changes). The album charted at the number 4 position in the US and earned Bridges plenty of media attention. To capitalize on the success of this release, Bridges followed in 2001 with Word of Mouf. This album received an MTV Video Music Awards nomination and went triple platinum. Chicken-n-Beer followed in 2003, which was a sales and critical disappointment out of the gate (recovering slightly after the single Splash Waterfalls was released). Bridges tried to make up for that with the release of 2004's The Red Light District, which went to number one on the charts. Release Therapy, a "two sided CD" came in 2006. The CD featured a so-called "release side" of darker material, and a "therapy" side of lighter fare. Although reviews were mixed, the album was a huge commercial success. 2008's Theater of the Mind debuted at number five on the charts. A follow-up is expected in 2009. In 2003, a group called I.O.F. accused Bridges of stealing their music for his song Stand Up. They sued, but in 2006, a jury found that Bridges did not violate copyright. The video for Splash Waterfalls received a lot of negative attention for its graphic nature and could only be shown on BET's uncut video program. In August 2002, Bill O'Reilly used his program to urge a boycott of Pepsi products, as Pepsi had just signed an endorsement deal with Ludacris. O'Reilly felt that Bridges' lyrics glamorized violence and were misogynistic. One day later, Pepsi dropped Bridges' endorsement deal. Bridges came under fire during the 2008 US presidential election for lyrics criticizing Jesse Jackson, John McCain and Hilary Clinton in a pro-Obama track he wrote. Bridges founded The Ludacris Foundation in 2000, with the help of his manager. The Ludacris Foundation works to get high schoolers interested in the arts.